Come and spend the day with us! 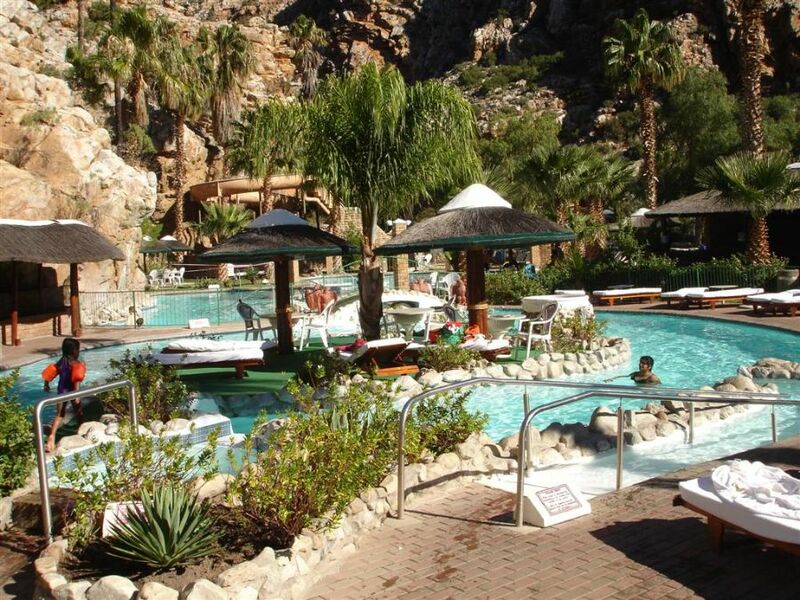 One of Montagu's main attractions is the Avalon Springs. Why not make a day of it? The Hot Springs and picnic areas are open from 08:00 - 20:00 (7 days a week). With ALL NEW ablutions and the newly extended Avacabana Bar and picnic areas, additional braais and the 60m water slide - there will be no shortage of fun for kids and adults alike right throughout the day. We regret, no gazebo's or tents permitted in the pool/braai area. You are not allowed to bring any alcohol or cold drinks onto our premises. all drinks can be purchased at the bar and cold drinks can be purchased at the cafeteria. If the situation calls for it, management reserves the right to search for and remove any items as listed above. Please refer to the "Day Visitors" page on the Avalon Springs website for more information and rates.